Simplistic and necessary for any tabletop, this Anchor Hocking Continental glass salt and pepper shaker is a must have for any dining room. 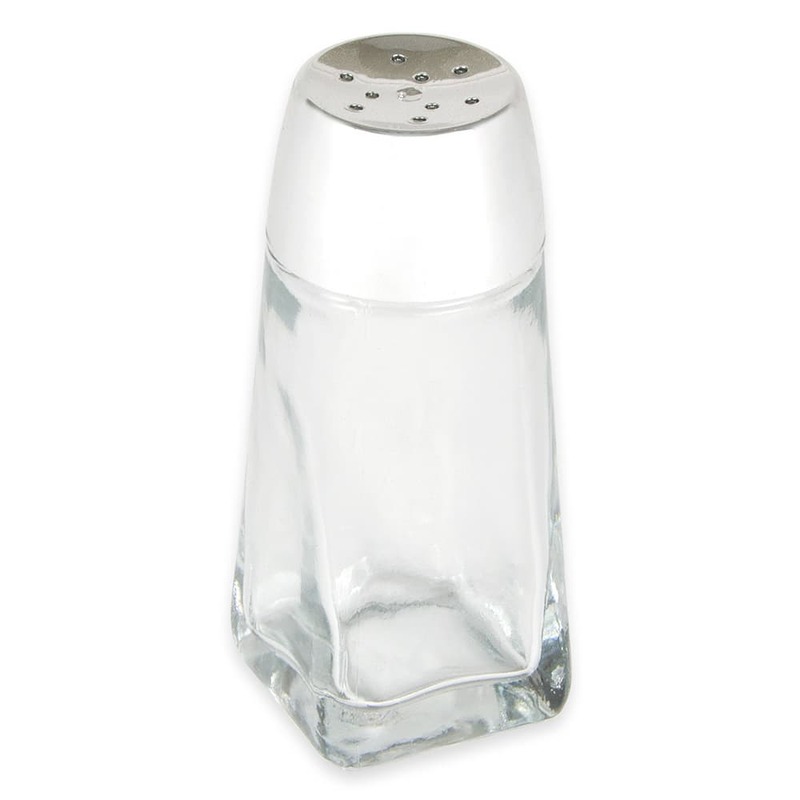 This salt and pepper shaker features a chrome plated plastic lid that is easy to clean and adds contemporary styling. The 5" height looks fabulous on any table and the 2 oz capacity of this salt and pepper shaker is the perfect size for standard seasoning. At such a great value, this glass salt and pepper shaker can be a part of any kitchen.